The market of furnished apartments has been increased around the world and exists for many different reasons one of which is that furnished apartments can be used for a lengthy stay, offer more comforts just like home than a hotel. Sydney serviced apartments also offers an income source to the landlords who own the property. But people choose these apartments for short period of time. For business travelers and families who are relocating, furnished apartments are the most affordable options as they provide the kitchen to cook your own meals and services that hotels generally charge for. 1. Deciding the location for your stay is the foremost decision that you need to make before finalizing any accommodation for your stay. And, if you are not familiar with the city, it is vital to do a lot of research on various rental locations. Safety must be the topmost priority while finding the location. You can check resources available online that provides information about crime statistics for an area. Also, remember to check information about specific building or apartment that you are interested in for staying. 2. Deciding the types of amenities you need will help you to select the property that suits your needs. Ease of transportations and parking space are some of the important considerations. Apart from these, proximity to shopping, medical help, and entertaining offerings also needs to be checked in advance. These amenities play a vital role in providing necessary comforts to make your stay enjoyable. 3. Finally, the features of the Sydney CBD furnished apartments should be checked out thoroughly in advance. The number of bedrooms, bathrooms, quality of furnishings, size of the room, security, Wi-Fi connection and availability of television are some of the comforts to consider before finalizing your selection. 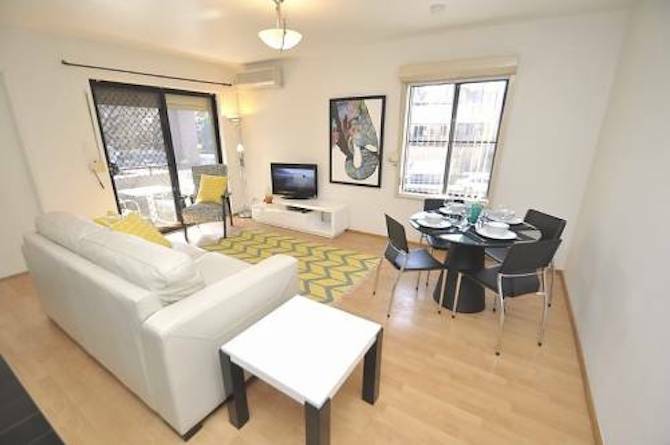 If you need more information about Sydney Furnished Apartment, you can click here to look at.